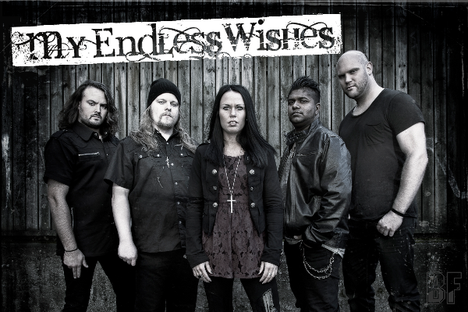 Swedish metal band MY ENDLESS WISHES, will release the self-titled debut album through Doolittle Group on March 29th. The band was created in Lindesberg, in 2005 by Frida and Martin Viberg, married since 2006. 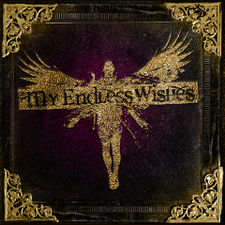 Their musical influences have always been melodic metal, bands such as Evanescence, Nightwish, Within Temptation. The band has released so far a 9 track demo named "Never Walk Alone" in 2009. The song titled "Never Walk Alone" was also released on MySpace and got so much attention that it was released on a compilation CD named "Ultra pop overdose" in the USA. The new album is recorded at Production House Studio, in Örebro, and produced by Fredrik Eliasson. The sound is really bombastic hard rock with an edge.